I have blogged something similar to this before, but this combination of ingredients was too good not to remember for another day. Lay the pastry on some baking paper on a baking sheet. Score an edge 1cm thick. Spread the pesto on the pastry inside the boarder. 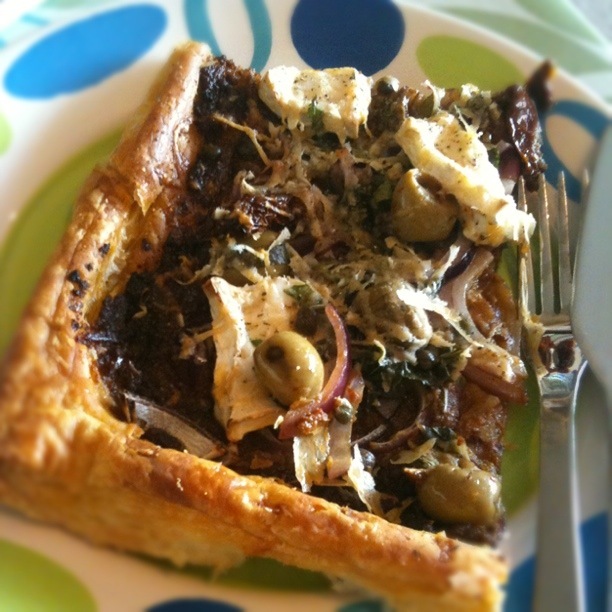 Scatter over the onions, olives, capers and cheese. Top with the basil and parmesan and tomatoes. Bake in a hot oven for 15-20 mins till the pastry is risen and everything is cooked. Serve with a rocket salad and drizzled with chilli oil. This is very easy to make but looks impressive and is another yummy dish for warmer weather. It travels well so is ideal for picnics or packed lunches. Begin by frying the onion in the oil over a gentle heat for about 10 mins till softened. Add the spinach and cover with a lid. Allow the spinach to wilt then chop roughly with scissors in the pan. Season with pepper and nutmeg and add the capers and crumble in the feta. Mix well. 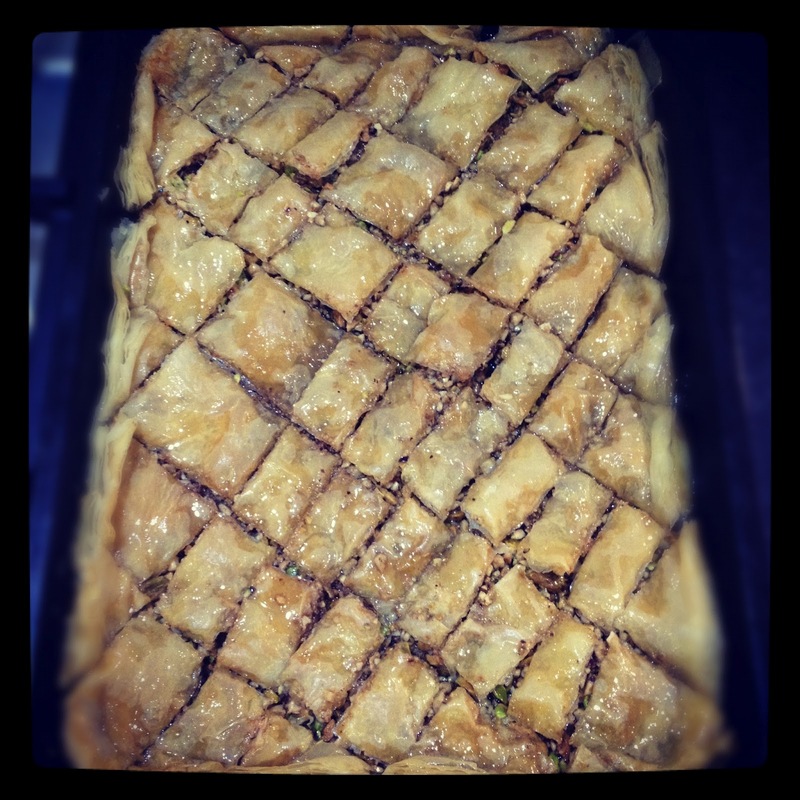 Meanwhile brush a baking tray with oil and layer in the filo, brushing each sheet with a little more oil. Use half the filo to line the base of the pan. 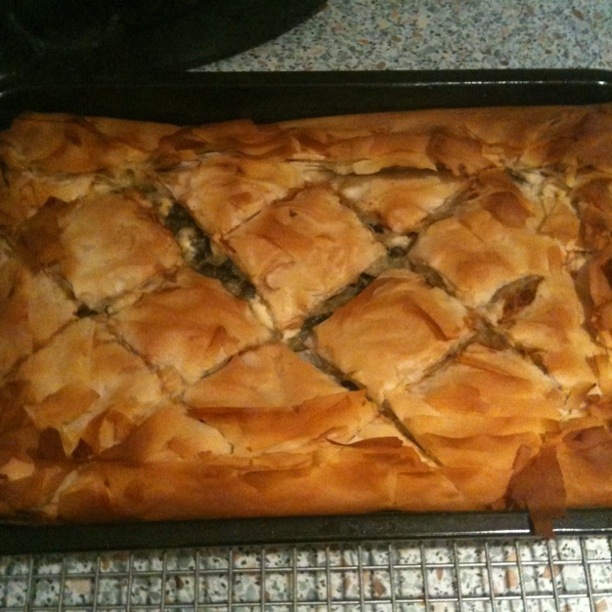 Spoon over the spinach and feta mixture then top with the remaining filo, again brushing each sheet with a little oil. Tuck in the overhanging pieces of pastry and brush the top with oil. Score into diamonds then bake in a hot (200 degree) oven for 30-40 mins. Best served at room temperature. This is a very quick and simple recipe which takes no time to prepare but tastes like you have spent hours on it. It’s nice hot or cold. Unroll the pastry and place on a baking sheet. Score a border about 1cm thick round the edges. Spread the pesto into the middle. Lay the onions on top and then the tomatoes. Top with the cheese and then finish with the oregano, pepper and oil. Bake in a hot oven for 25-35 mins till risen and cooked. Serve as you wish. This was a creation from stuff that needed to be used up: namely a basil plant and some tomatoes. Result! Make the pesto by blitzing everything together till smooth-ish. Lay the pastry out on a baking sheet and score round the edges to leave a 1cm border. Spread the pesto inside the border. Lay on the tomatoes and season with salt and pepper. Drizzle over a little extra olive oil. Bake in a hot oven for 10-15 mins till the pastry is risen and golden brown. Scoff with a rocket and watercress and red onion salad. Begin by suateeing the leek in the butter till soft. Line some individual tart tins/muffin tins with the filo pastry. Lay the sheets in the tins – you’ll need about 4-5 sheets per tin to ensure no gaps/holes. Mix together the eggs, cream and seasoning and then add the cheddar. Place the cooked leeks in the base of the lined tins. Pour over the eggy, cheesy, cream mixture and then stud the top with the gruyere. Bake in a hot oven for about 15 mins till puffy, golden and crispy. Serve with salad and potatoes. 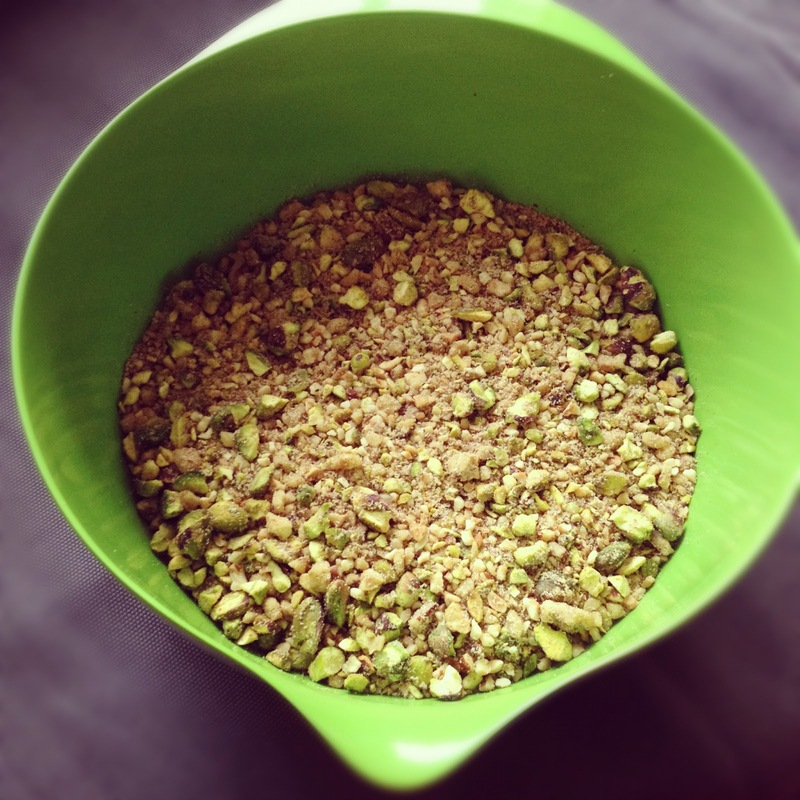 This is a dead simple recipe, and the filling can be varied depending on what you fancy. Quickly stir fry the bag of veggies and leave to drain in a colander. Cut the sheets of filo in half and place a spoonful of the veggies on each one. Brush the sides and edges with a little oil and roll up. Place on a baking sheet and brush the tops and sides with a little more oil. Bake in a hot oven for 15-20 mins till golden brown. Serve with sweet chilli sauce to dip. Begin by making the pastry and leaving to rest. Meanhile saute the leeks, onion, herbs and butter for 20 mins or so in a lidded pan. Cut out large circles of the pastry and fill with a tbsp of the filling in the middle of each. Either fold over or cut out more circles for the tops. Crimp, brush with egg glaze and stab in a few steam holes. Bake in a hot oven for 20-30 mins till golden brown. Serve hot or cold. Begin by unrolling the pastry and placing it on a lined baking sheet. Score around the edge to leave a 1cm border. Spread the onion marmalade in the middle, ensuring it covers the base evenly. Lay on the courgette slices, then add the goats cheese. Add the tomatoes and finally sprinkle over the herbs, seasoning and finish with a drizzle of olive oil. Bake in a hot oven for 15-20 mins till cooked and golden brown. Serve with a green salad. Eat any leftovers cold for lunch the next day. Begin by lining a quiche tin with the pastry. Prick all over and leave to rest for 30 mins. Then bake blind for 15 mins or so. Brush some of the beaten leftover egg white on to the base and continue to bake till it is set and sealed. Leave to cool. Meanwhile grate the courgettes in to a sieve, sprinkle with a little salt and leave to drain for 5-10 mins. Sautee the onion and garlic in the butter and oil. Squeeze out the courgettes and add to the pan, increasing the heat. Mix the cream, egg, yolks and cheese in a jug. Season and add the thyme. Spoon the vegetables over the base of the tin and then pour over the egg and cream mix. Bake in a moderate oven for about 25 mins. Serve with a green salad. Yum!